Cuyahoga County is located in the U.S. state of Ohio. Its county seat on Cleveland. The county was created on June 7, 1807 and originated from Geauga County. 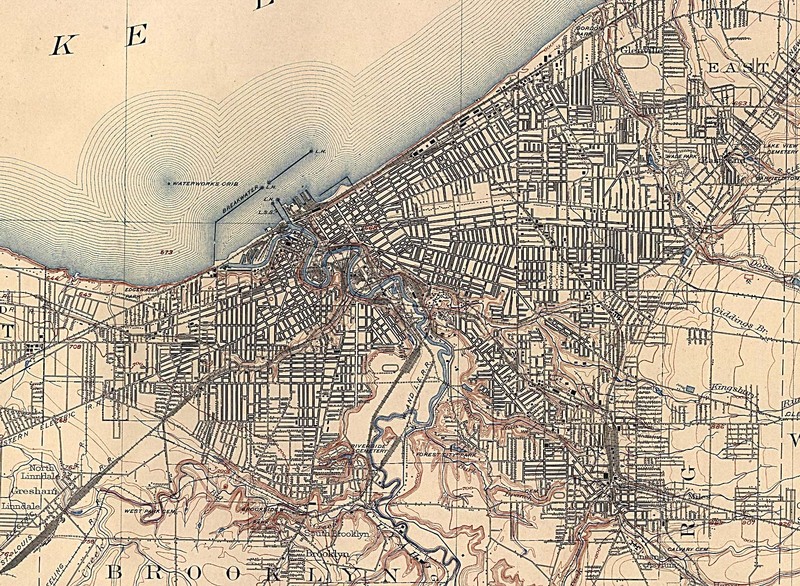 The name of the county comes from Cuyahoga River, which means "crooked river" in an Iroquoian language. The links directory provides suggestions for a variety of websites to assist in your family history and genealogy research. Cuyahoga County-Henry Howe's 1854 "Historical Collections of Ohio"
Harvard's Social Museum Collection-Under "By Geography", click on "Ohio", then click on "Cleveland"
Biography of William Edward Dwyer, M.D. Biography of Karl E. Schneerer, M.D. Biography of Karl Holden Chandler, M.D. Biography of Kazimier G. Cieslak, M.D. Biography of Harold Rowe Holbrook, Jr. Biography of M. G. Witter, M.D. Biography of Harvey J. Burkhart, D.D.S. Biography of Henry Andrew Herkner, M.D. Biography of William Otto Ziemer, M.D. Biography of William Rigelhaupt, M.D. Biography of Henry Fisher, Jr. Biography of Melvin L. Battles, M.D. Biography of Henry W. Kitchen, M.D. Biography of Myron Curtis Sturtevant, M.D. Biography of David Aitken, Sr. Biography of David Bennett Steuer, M.D. Biography of Nicholas Leo Zinner, M.D. Biography of Horace Ervin Mitchell, M.D. Biography of Paul Sue, M.D. Biography of Ralph Allen Scherz, M.D. Biography of Ralph Warren Faus, M.D. Biography of James B. McEnaney, M.D. Biography of Edward Thomas Hurley, M.D. Biography of Robert Henry Sunkle, M.D. Biography of James M. Baldwin, M.D. Biography of S. J. Weldon, M.D. Biography of Jeremiah A. Robinson, D.D.S. Biography of John Bernard McGee, M.D. Biography of Samuel Walter Kelley, M.D. Biography of Alfred John Gericke, A.B., M.D. Biography of Archibald Nail Dawson, M.D. Biography of Thaddeus Mead Talcott Jr. Biography of Aretus Earl Biddinger, M.D. Biography of Thomas P, Treynor, Jr. Biography of Vincent Marotta, Sr. Biography of George Humphrey Camp, D.D.S. Biography of Walter Martin Bucher, B.S., M.D. Biography of Ward K. Elderkin, M.D. Biography of John Ward, D.D. Biography of Wilbur George Weiss, M.D. Biography of Wilbur Jay Sawyer, M.D. Biography of Will Lake Beach, M.D. Biography of Joseph Ridgway, Jr.
American Fork & Hoe Co./True Temper Corp.